When you search in Google for the term “data recovery“, you will get millions of results. If you are looking for professional data recovery, it becomes a daunting task trying to weed out the legitimate companies from the fly by night brands that are out there. If you’ve suffered a hard drive failure or need RAID data recovery, you will definitely want to find a reputable data recovery company to help you get your data back. 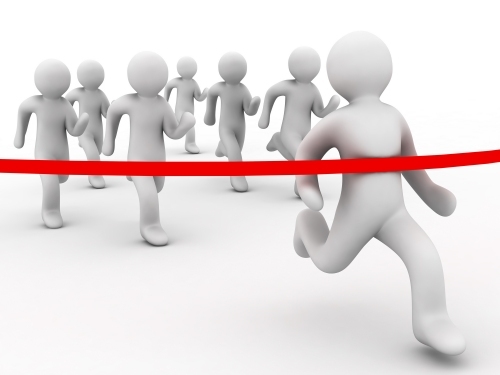 So how does ACS Data Recovery stand up against the competition? First of all, we don’t necessarily “compete” with any single company. We provide our services with the customer in mind first and foremost. You can read more about why you should choose our services by clicking here. We don’t price our services or market ourselves just based on what our competitors might be doing. We don’t follow anyone’s lead. Our pricing model is going to be less than some companies and more than others. However, our data recovery services are priced in a way that allows us to provide our customers with the best service possible. We thoroughly exhaust every possibility when it comes to recovering data from your failed media. A company that quotes you a really low price may only utilize the bare minimum of resources when it comes to getting your data recovered and will most likely give up if the job becomes too complicated. When you’ve lost priceless data, we will always advise against using cheap data recovery services. Many would assume that’s just because we want you paying a lot of money for data recovery, but nothing could be further from the truth. It comes down to capabilities and experience. If your data is irreplaceable, cheap data recovery is not the way to go. What we mean by cheap, are the companies that charge $400 or less for any type of data recovery. Even if you don’t use our services we highly advise against using cheap data recovery companies if you absolutely have to have your information recovered. In most cases, a reputable company is going to quote you anywhere from $500 to $1,500+ for data recovery on a hard drive of 1TB or less. That’s just an example, but it’s right in line with what you can expect to see. Even though we don’t base our pricing on what our competitors charge, we do shop our competition regularly just to see where we stand within the industry. We find that we are less expensive than many of our competitors on most of the data recovery services we provide. So while we aren’t the cheapest data recovery company out there, we also aren’t even close to being the most expensive. Not only that, but we will gladly put our service and expertise up against anyone in the industry. 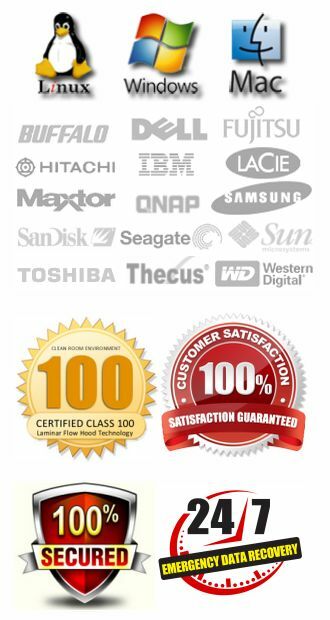 When it comes to data recovery, we are every bit as good and even better than most other companies you will find. If you absolutely have to get back the data you’ve lost do to a failure of your storage media, then it’s imperative you avoid going the cheapest route. As mentioned above, even if you don’t go with our company, at least choose a reputable data recovery provider. Don’t get too wrapped up in the number of reviews a company has either, those can be easily purchased and paint a very misleading picture. Most of our customers find it difficult to locate a local data recovery company. Some choose to let a local computer repair shop do the work for them. Some take their drives to what is described as a local satellite office of a major company. The problem is, there are very limited options when searching for local data recovery companies. They either don’t do the recovery work at that location, or they aren’t qualified. If you need your data retrieved, you’re better off going with a company that is upfront, experienced, and able to help you actually get your data back. Just because a company brandishes a host of certifications on their website does not mean they are superior or somehow endorsed as being the best. Most of the common SAS and SOC certifications that are used have absolutely nothing to do with data recovery or the capabilities of the company to actually retrieve data from failed storage devices. It is used mostly as a marketing tactic. In some instances, the actual company does not even hold the certification, their office is simply housed in a facility that is certified. You can read more about certifications here. Why in the world would we highlight other data recovery companies on our own website? It seems crazy, but there is a reason. The simple answer is we’d rather give you options for companies that we know for a fact are legitimate service providers for data retrieval, than have you decide not to use us and go with a company that may take advantage of you. We don’t live in a bubble and think we are the only option our customers have, and we aren’t afraid of competition at all. We know we aren’t going to get everyone’s business. Some people may not like us for any particular reason, others may not like the color and layout of our website, and there may even be those that don’t appreciate the fact that we are based in Texas (the last one was a joke…kind of). So if you want to shop around, at least pick from a pool of qualified companies that will certainly be able to help you if we can’t. Below you will find links with information about other data recovery companies, and how we compare to them. Obviously we are not affiliated with any of these companies, and we are certainly not endorsing them in any way. We want your business, and we hope you give us the chance to help you. But if we can’t, then please use one of the companies below for your data recovery needs. If you are just shopping around, then these are really the only companies we would ever recommend you call for information about data recovery services. Drivesavers Data Recovery – One of the oldest data recovery providers in the world. Founded in 1985, Drivesavers has a huge network of resellers and partners. 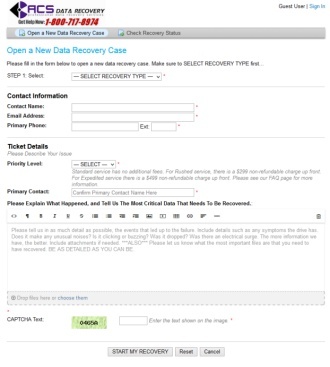 ESS Data Recovery – Just because they own the datarecovery.com domain should say something. They have been around for quite a while and are also well qualified options if you need data recovery. Gillware Data Recovery – Gillware is based in Madison, WI and has been recovering data since 2004. Ontrack Data Recovery – Certainly one of the most reputable and well equipped data recovery labs in existence. They’ve even recovered data from a hard drive that had been in the Space Shuttle Columbia when it exploded. TechFusion – Recovering data for over 27 years, TechFusion has been charged with recovering data for criminal cases, corporations and universities.